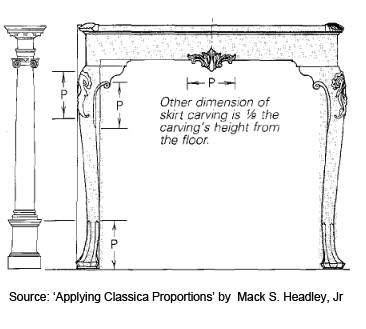 Chippendale And The Rules Of Classical Proportion. Known as ‘The golden era of design’, there is no disputing the quality and refinement of Georgian furniture. Pieces ‘stand well’: mouldings and brassware perfectly balance aprons and legs. Many furniture historians believe this is because cabinet makers adhered to a strict geometric proportioning system, based on the five classical orders, which are evident throughout the history of design, particularly in Architecture. The origins of this design system reach back to at least the Greeks, from whom the Romans borrowed it. And it later served European craftsmen from the Renaissance to the beginning of the Industrial Age. Although there is no doubt that Chippendale was a firm believer in the rules of proportion, there is very little written about his methods of achieving this perfect balance. 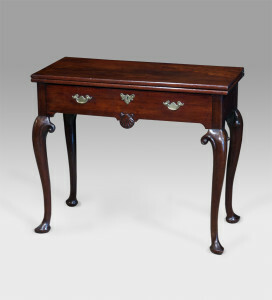 Some furniture historians believe that Chippendale was exaggerating his reliance on the rules, and that the balance was achieved merely by relying on the human eye. Others claim that the lack of recorded theory is due to the information being privileged; Chippendale only imparted the rules during apprenticeship. It is fascinating to consider that these rules were a highly guarded secret of the furnituremaking and architectural guilds. Perhaps we will never truly know the secret to the finesse of Georgian design.